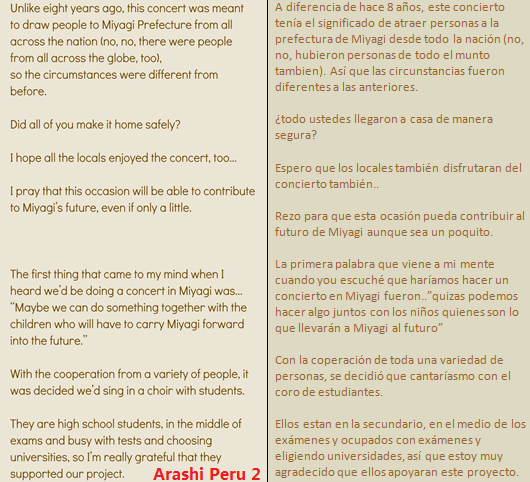 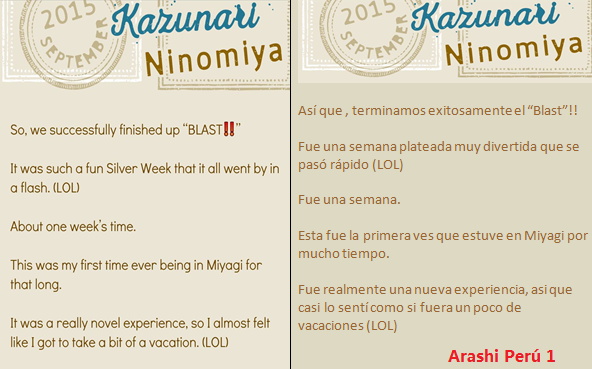 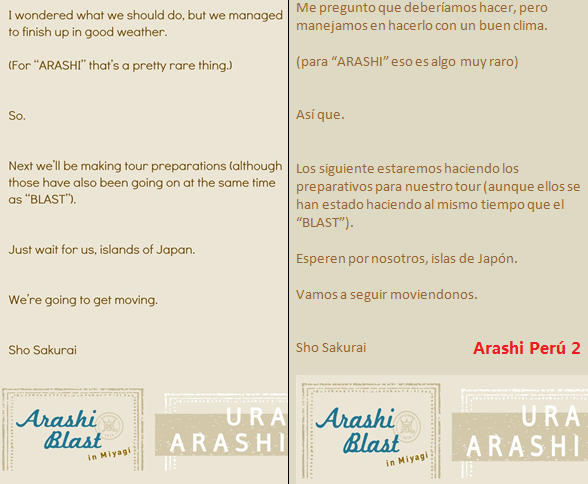 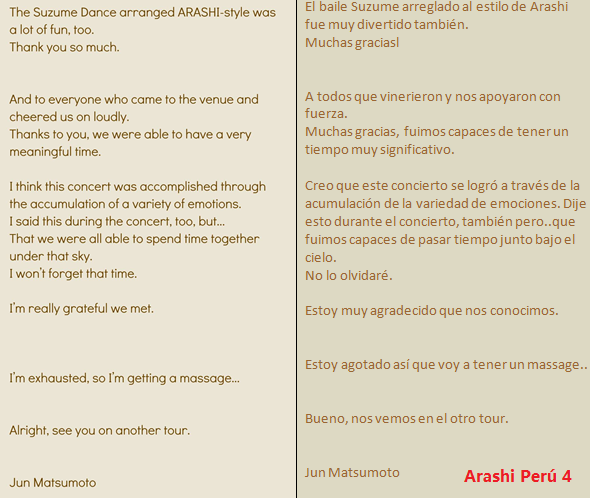 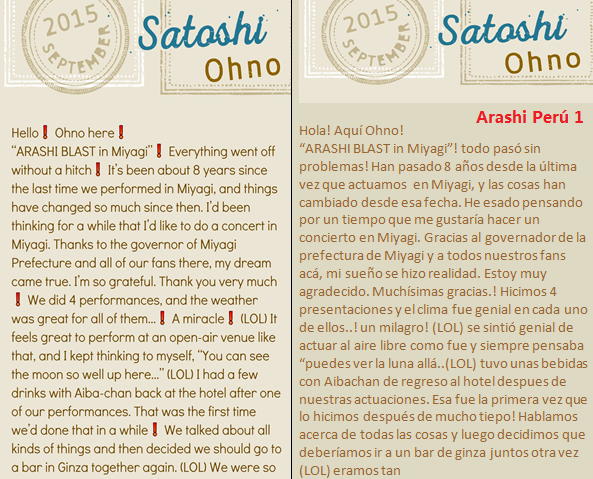 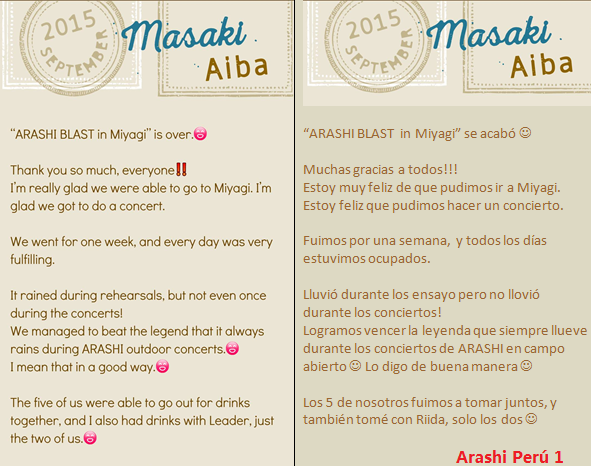 [NEWS]LOS MENSAJES DE ARASHI ACERCA DE SU EXPERIENCIA EN MIYAGI / ARASHI MESSAGE REGARDING THEIR EXPERIENCIE IN MIYAGI ~ . 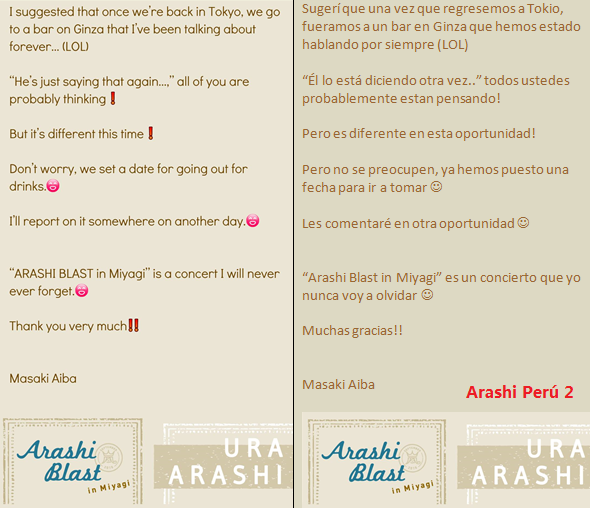 Today on the official site of Johnnys web our boys have posted their thoughts and messages regarding their experiencie in Miyagi. 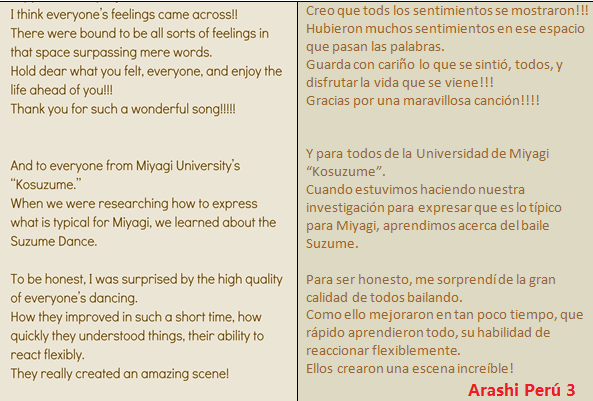 We really love them and so happy that everything went well and Miyagi had so much thanks to them. 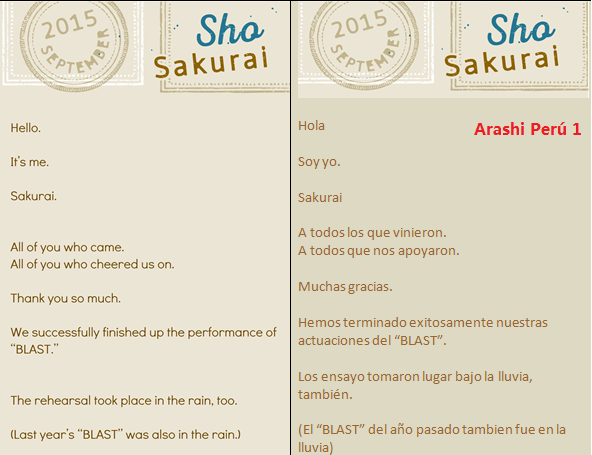 Great Job ARASHI!. 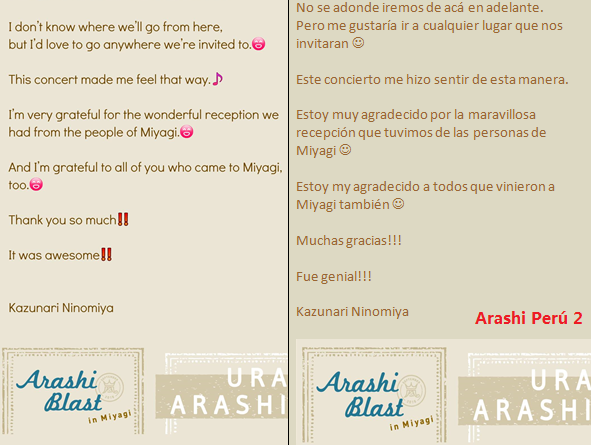 Hoy en la página oficial de la Johnny Web nuestros chicos de ARASHI han posteado sus pensamientos y mensajes con referencia a sus experiencias en Miyagi. 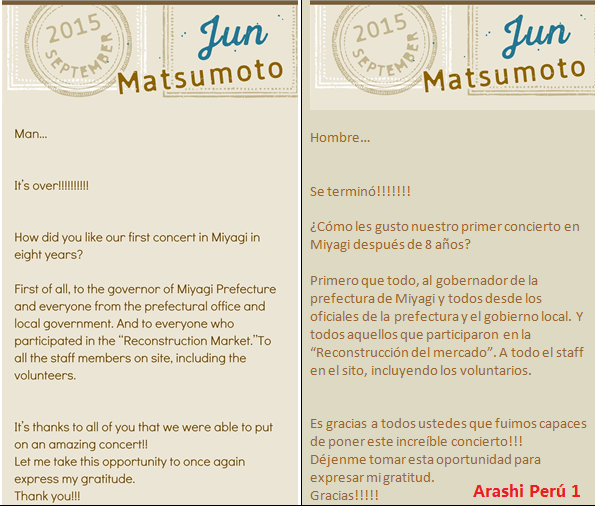 Realmente los amamos y estamos felices que todo fue bien y Miyagi ganó tanto gracias a ellos. 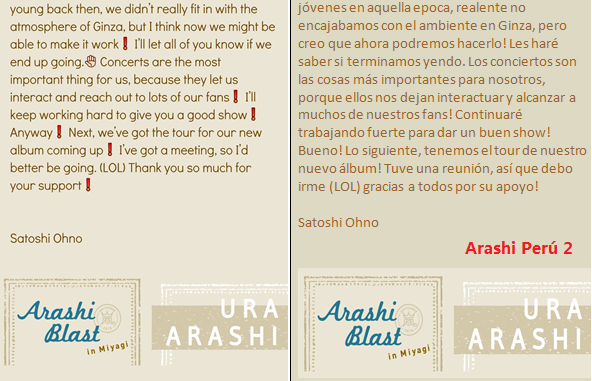 Gran trabajo ARASHI!!. 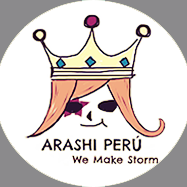 Translation / Traducción: Arashi Perú.